HJC Design Blog: Yes, That's What They Wanted! Yes, That's What They Wanted! ...we've seen it all before. I totally understand that fans love this jersey. I also understand that a lot of people want to see this become the full-time home jersey. I like this jersey too and it wouldn't be a bad thing to have it used on a full-time basis. Personally, I feel like I've moved on from the "retro jersey era". I feel like I want something new from teams now. 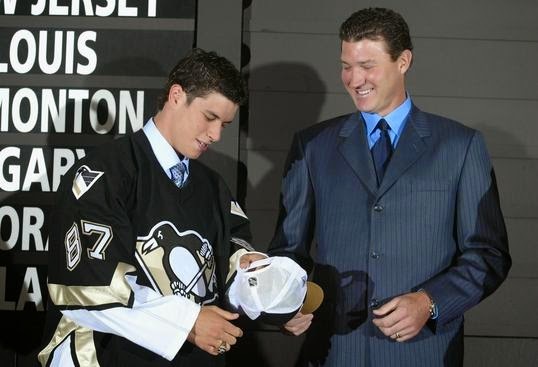 When the Penguins came out with their alternate jersey in 2002 (which ended up being promoted to full-time status) I was ecstatic. I feel like the same could have been done this time. Give us a classic style hockey sweater, use "Pittsburgh Gold", but make it something new. 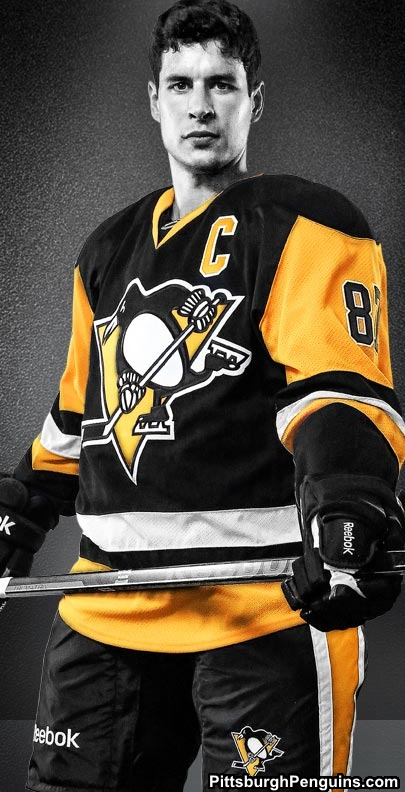 Truth be told, I like the current Penguins' home and road sweaters. I like the "Vegas Gold" and I like the template. Yeah that's right, I like the template. I think it was a terrible move by Reebok to give that template to three NHL teams in 2007, but I feel like it suits the Penguins. I see no need for promotion of the new retro 3rd jersey. I truly believe that this new jersey is the first step in the long process of bringing the jerseys from the 80's back. It seems most fans want it and why shouldn't they? It's a nice jersey! 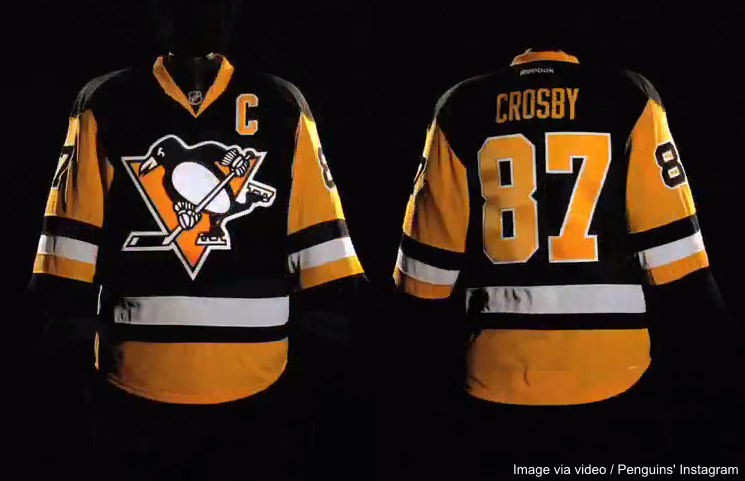 I also applaud the Penguins for going all the way with the retro look. They didn't add anything new and they made as close of a replica as they could. Now I'll just be over in the corner, nodding politely and hoping for something new. I feel like the Pens current set has grown on people a lot since the team have been so successful and truth be told they do look good. Would your opinion change if they had gone with a mixture of eras, but still entirely based on past jersey?